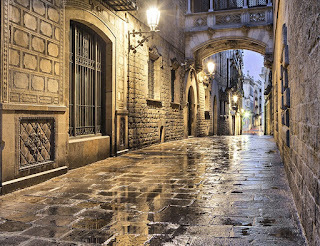 In our previos posts we wrote about Gothic Quarter. Here we added new data and Gothic Quarter Photos. A Roman Gothic History stands in the middle of the city. 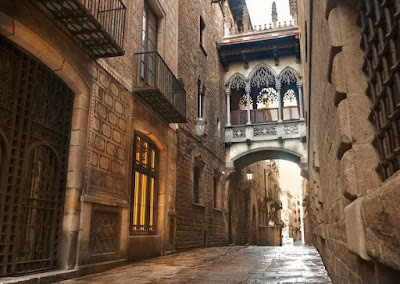 Gothic Quarter in Catalan Barri Gothic represents the history of Barcelona, Spain at the centre of the city. 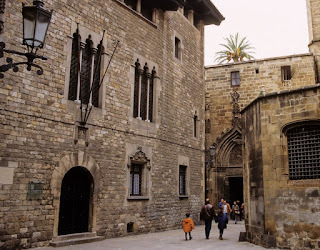 Many buildings come from medieval times even though the square was built in late 19th century. 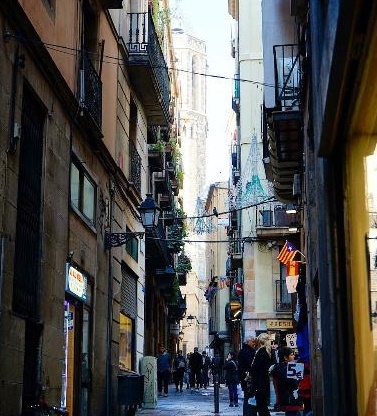 This area is inevitable to see as it begins from La Rambla street to Via Laietana and also from the Mediterranean seafront to Ronda de Sant Pere. 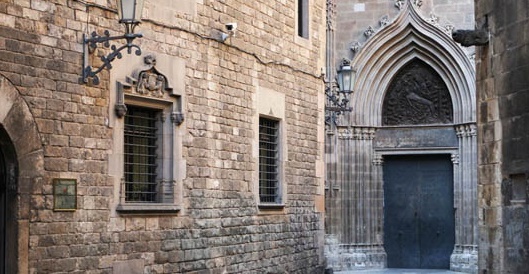 Barri Gothic is also a part of Cituat Vella so you can't miss it. 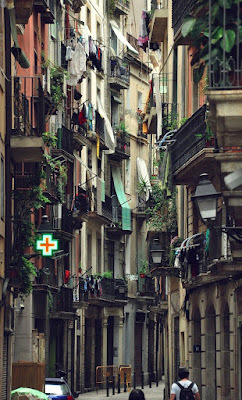 It's possible to come across the buildings and area by coincidentally as it is the heart of the city. 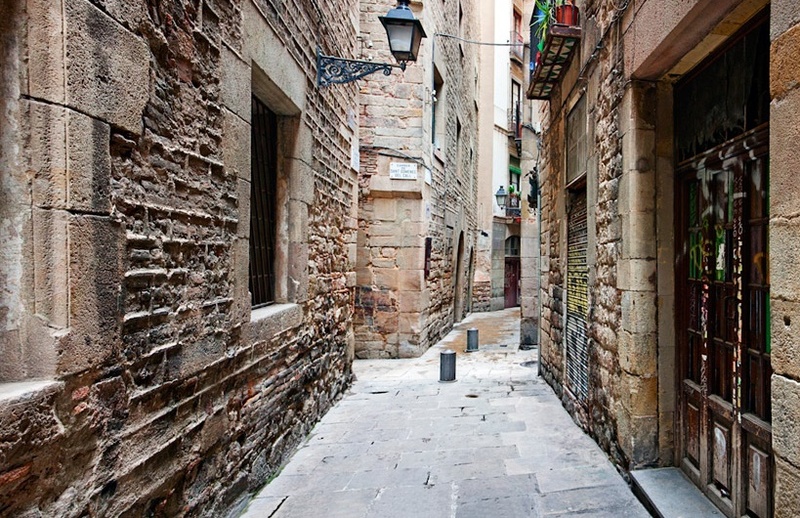 Gothic Quarter also includes Jewesh quarter, The Call. What is magical about Gothic Quarter is that Barri Gothic has a labyrinthine street plan that all the streets reach to the square. In the narrow streets you will find lots of boutique shops, historical museums, many cathedrals and of course fascinating buildings that were designed with spectacular patterns. 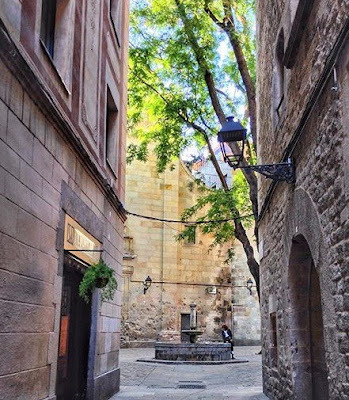 In the square you can see Cathedral of Santa Eulalia, Basilica of La Merce, Church of Santa Maria Del Pi, Plaça Reial, Plaça Del Rei, Barcelona City Histroy Museum, Remains of Temple Augustus in Barcelona, Picasso Museum, Chocolate Museum and Church of Sant Miquel. 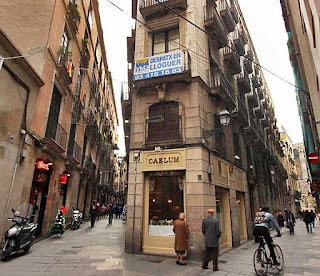 You may want to buy magnets at this area as they are much cheaper than La Rambla. 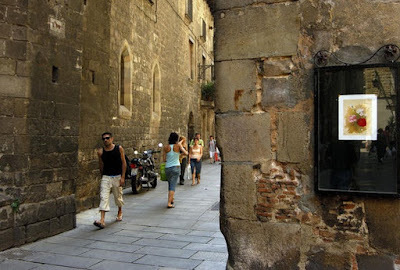 You will taste the music by the street performers and fly to the past while just walking at the square. 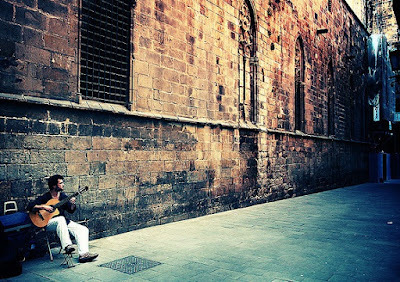 If you say you can't miss a Flamenco show when in Barcelona then walk further come to Plaça Reial and get a seat at Tarantos which is cheaper also than other Flamenco show places. 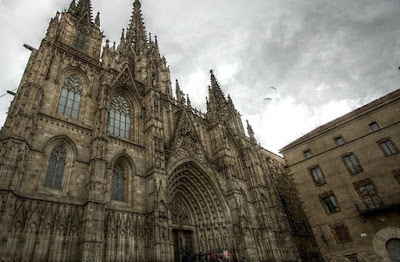 For photographers whether professional or not Barri Gothic serves you best shots. If you get thirsty you can drink water from the fountains located at the streets. While getting lost in the streets don't forget to taste tapas and get a coffee. 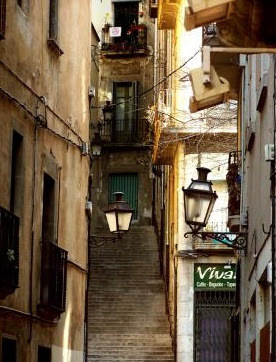 It is a place that you will never understand how time flies while strolling. 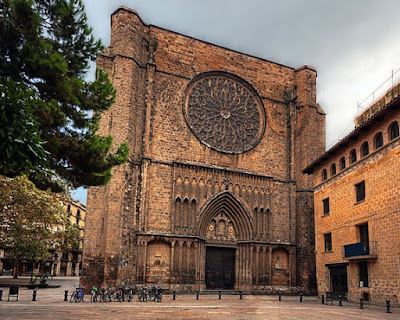 At the weekends, there are some events in front of the cathedral. When you stroll at the Barri Gothic you should be aware of the pickpockets. 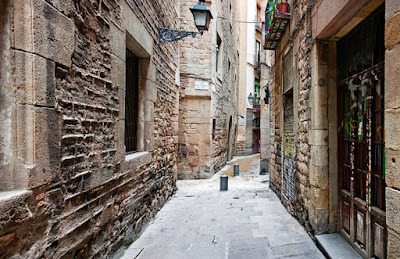 This area is one of the most hotspot area for pickpockets but don't let you down as you may have similar problems in other countries or cities. We just would like to warn about this. 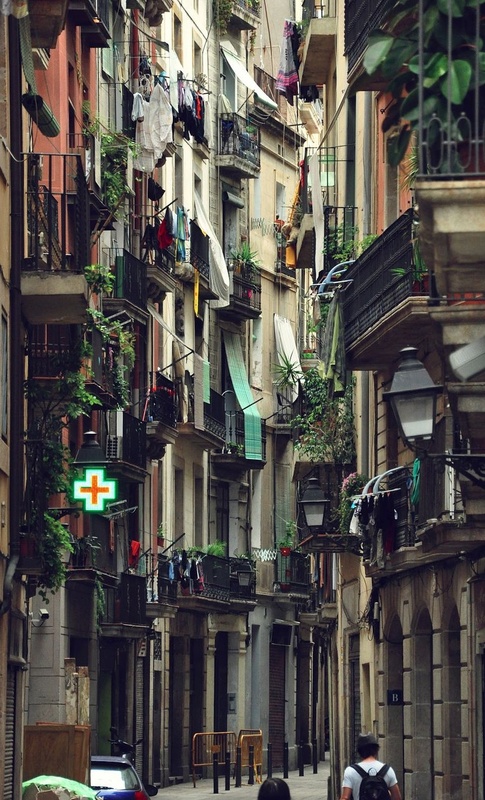 Barcelona is a safe place to visit even alone. Just enjoy the history in Gothic Quarter.Barcelona is somehow reminds their visitors its narrow streets so get a bike and enjoy the ride! 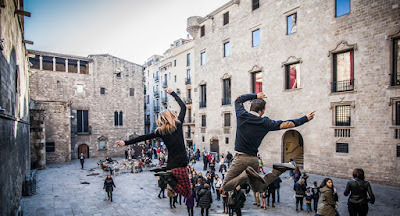 For more activities in Barcelona see Barcelona city guide's previous posts. 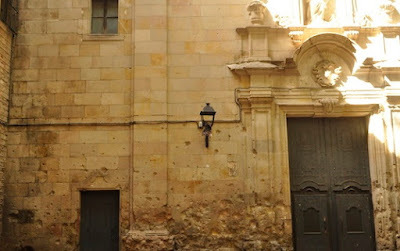 Also for more Barcelona city photos please check our Gallery. Please click on the photos for slideshow.